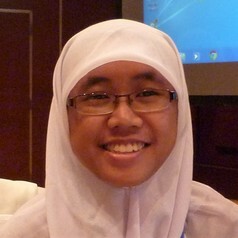 Himayatus Shailhah (Aya) is a researcher of Wahana Riset Indonesia program at WRI Indonesia. Her research focus on NDC (Nationally Determined Contribution) enhancement, implementation, and transparency in Indonesia. Prior to joining WRI, she graduated with a bachelor degree in Material Physics, Department of Physics from Universitas Gadjah Mada. During her study as undergraduate student, she received research grants funded by Dikti on material science, computational physics, and community service. Aya actively involved in Study Club organization of LSiS FMIPA UGM focuses on interdisciplinary research and discussion. Her final project about ‘nanotechnology and its prospect as air filtration’ was successfully published in Material Science Journal and presented in International Conference on Science and Technology.